Nashi the site of the Australian Nashi Growers Association. Nashi sometimes referred to as Nashi Pear, Asian Pear or Japanese Pear. lime juice and mint. Blend well. Add sugar to taste. Pour into tall glasses with crushed ice and top with soda water. 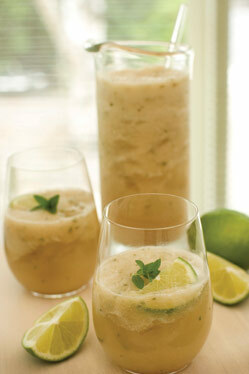 Combine nashi and mint in a blender and process until smooth. Pour into chilled glasses and serve immediately. 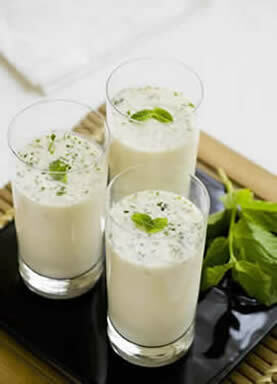 Delightfully refreshing, with the cool taste of fruit and yoghurt to invigorate and refresh. representing nashi growers including regulation, legislation, marketing, research and development.